In part 1 of this tutorial we have seen how to install exchange 2010 SP1 in hosting mode and in part 2 we learned to Create and Delete organizations. 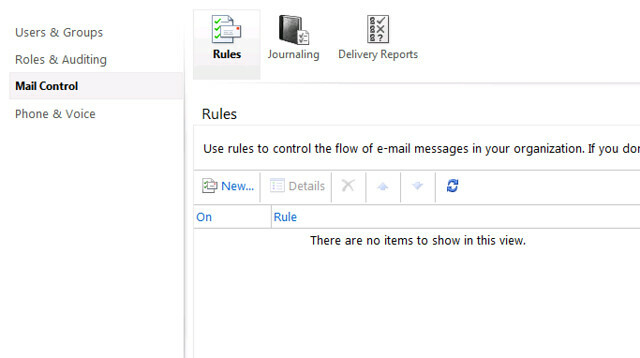 I will show you today in this tutorial the basic management of an organization like creating/deleting mailboxes. We need to make the difference here between you, as a hosting company, creating users in a specific organization and the Organization Administrator creating users for its own organization. To create, as a hosting company, users for a specific organization you will need to use the powershell command new-mailbox that, also, got new attribute -Organization. As you can see the mailbox was created with the quotas define in the service plan of the TestOrg organization and with an email address of [email protected], and you can guess it will be located in the TestOrg organizational unit in Active Directory. Well I know that most hosting companies provide their customers with panels to do the management however exchange 2010 provides a decent management interface which is nothing but the Outlook Web App ECP. From the web browser reach https://casserver/ecp and logon with the organization username/password. I would like to add that, even if address list segregation is not supported yet on Exchange 2010 SP1, when installed in hosting (or multi-tenancy) mode each user will only see their Global Address Lists accounts that belongs to the same organization. So a user in the TestOrg organization will not see users in any other organization and vice-versa. I hope that, by now, you are familiar with the basics of Exchange 2010 SP1 hosting mode how to create and manage organizations. In the last part of this tutorial I will show you how to make it all work putting the pieces together. Never mind, just figured it out. is there a global administrator to view/manage all the organizations?? maybe have an alias on all the domains created?? how would you setup aliases for differenct hosted clients? i dont see that in the Active directory or in the owa?? my original question: is there a global administrator to view/manage all the organizations?? maybe have an alias on all the domains created?? you replied: yes the built in administrator that is created when you installed you Active Directory can manage all organizations .
? ?how/where would you setup administrator aliases for differenct hosted clients? i dont see that in the Active directory or in the owa?? What is the partnerdelegatedtenantmanagement role ? If in a senario I am a whole seller who provides my AD & Exchange for hosting to another reseller .. wont this role given to the admin of the reseller help create orgs in his OU ? If true how can I assign the role to this administrator ? never mind figured it out.. new-accepteddomian..
How to add additional Domains to specific Organizations that cannot be user by other Organizations ? I did pretty well until I tried to surf to the /ecp/ page; I can't see anything. I also don't see the IIS Manager, so I'm not sure what to do to troubleshoot this. Where should I begin? Thanks a lot for the tutorial. It's been a huge help. I added the IIS7 Manager; I see all of the virtual directories that I expect to see. i still can't view /owa/ or /ecp/. I don't have an SSL cert assigned to this, but I added it to the tursted sites. Is there anything else that I have to configure to see ECP/OWA/etc? 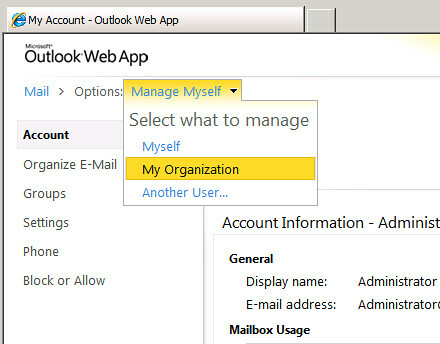 I am able to manage and view mailboxes via the web interface and able to set up an android, but for some reason I cannot figure out how to set up an Outlook client from a remote location. 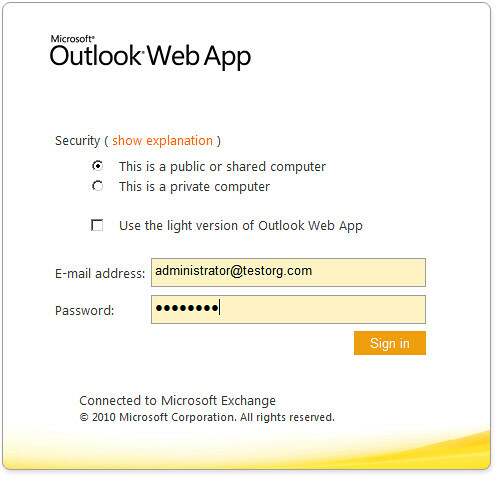 Any information on how to configure the Outlook clinet for a hosted exchange box in this model? 3 Pings/Trackbacks for "Step-by-step Starting with Exchange 2010 SP1 multi-tenant: Manage your organizations"